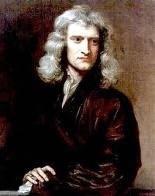 “THIS MOST BEAUTIFUL SYSTEM of the sun, planets, and comets, could only proceed from the counsel and dominion of an intelligent Being.”—Sir Isaac Newton . There are those , in the so called modern era , who have evolved to the point that they can not recognize intelligence when it is displayed all around them . Sir Isaac Newton recognized the SYSTEM ( order , intelligence ) of the Universe we live in and he attributed it , rightly so , to the Creator God of the Bible .